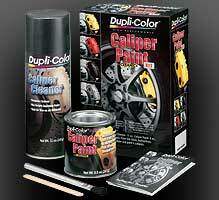 Dupli-color Caliper Paint Kit makes customizing brake calipers is a whole lot easier. You can brush on color with Dupli-Color® High Performance Caliper Paint Kit. 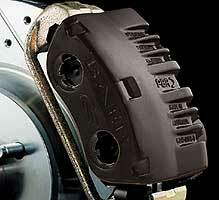 The complete kit includes everything you need to add color and style to your brake calipers. Available in five colors. Dupli-color Caliper Paint Kit goes on with a brush, so there’s no need to remove the calipers before painting. Just mask with tape and brush on color. Everything you need is included; Caliper Cleaner, stir stick, paint brush, masking tape and complete instruction book. Remove all four wheels from vehicle. 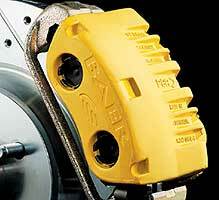 Calipers and/or drums do not need to be removed. 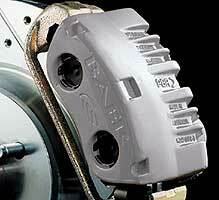 For best caliper results, unbolt caliper and remove brake pads. Do not remove brake line. Clean surfaces to be painted with enclosed Dupli-Color Caliper Cleaner. Read directions and precautionary wording before use. Spray surface with Caliper Cleaner. 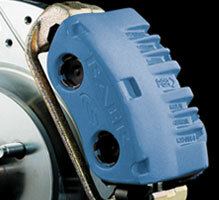 Scrub Caliper Cleaner on caliper with a clean toothbrush or equivalent. Wipe dry with a clean towel. 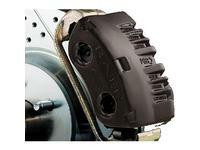 Be sure to remove all brake dust and/or contaminants. Masking of the surrounding area is recommended. Tape off the brake bleeder screw, brake lines and caliper piston boots. Read directions and precautionary wording carefully. Remove lid from paint can. Stir contents thoroughly for 1 minute with enclosed stir stick. Apply paint to the caliper or drum with enclosed brush in thin, even strokes. Allow paint to set-up for 15-20 minutes between coats. Apply additional coats as needed to even out brush strokes and obtain full coverage. Apply second coat within 1 hour or wait 5 days.